Modeling Lindzen’s adaptive infrared iris | Climate Etc. This important paper got recent attention at BishopHill, and at Climate Audit in part 3 of Nic Lewis’ explanation of his Ringberg climate sensitivity presentation. Nic’s post also provides additional evidence and references for points 2 and 3 in the following paragraph. 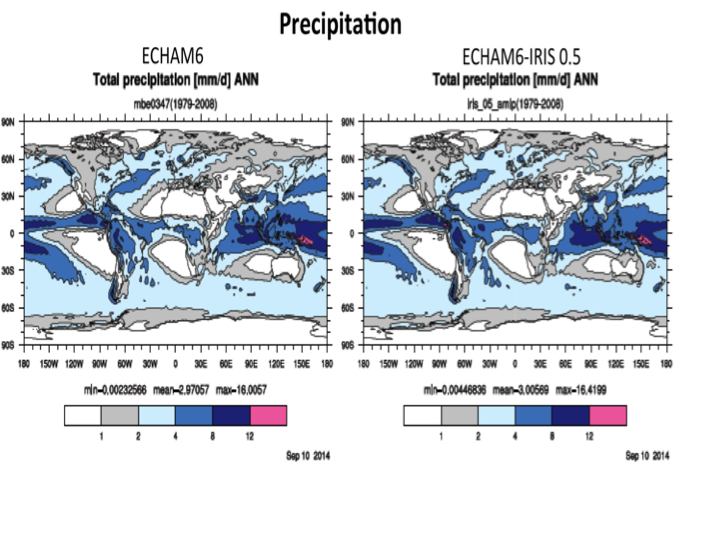 Modeled tropical precipitation is significantly less than observed. Modeled TCR and ECS are about 2x observational calculations. The new paper by Mauritzen and Stevens is hardly conclusive, since based on a single AOGCM model, ECHAM6. But it is highly suggestive that the adaptive iris exists. Model ‘experiments’ tested three possible iris ‘strengths’ (this post illustrates ‘medium’, Ie=0.5). The model ‘experiments’ directionally, but not fully, resolve all four model/observation discrepancies listed in the previous paragraph. For example, the IRIS modified model reduces ECHAM6 sensitivity from 2.8 to 2.2, but not to ~1.7 computed by Lewis and Curry (2014) using the observational energy budgets in IPCC AR5. 2. Tropical precipitation increases toward observed levels. 3. Cloud feedback changes from positive to negative. 4. 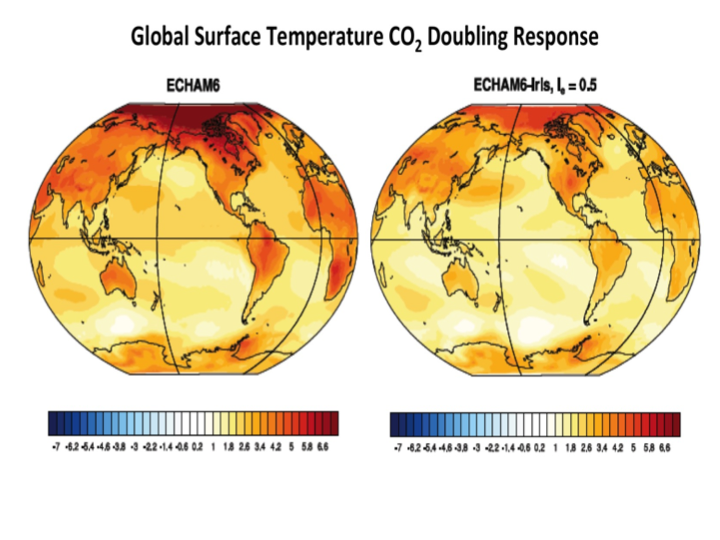 Doubled CO2 temperature sensitivity is reduced toward observed. All four factors suggest one reason CMIP5 models are running hot is that they lack a negative adaptive iris feedback. “All models are wrong, but some are useful.”  The new IRIS version of ECHAM6 appears to ‘usefully’ help reconcile several important modeled to observed discrepancies. Fresh evidence that climate science is not settled. Mauritsen and Stevens, Missing Iris effect as a possible cause of muted hydrological change and high climate sensitivity, Nature Geoscience, doi10:1038/ngeo2414. Box and Draper, Empirical Model Building and Response Surfaces, ISBN 0-471-81033-3 (1987), page 424. JC comment: There is a companion post Observational support for Lindzen’s Iris Hypothesis, which addresses theoretical and observational issues of the iris hypothesis. I am with Dr. Spencer 100% on this issue. Lindzen’s iris effect certainly has some validity as far as the water cycle is concerned. However, it doesn’t help much as regards non condensing GHGs. To properly rebut AGW theory one also needs to show how they fail to heat the system. It is decrease in probability of photon emission as one descends into greater density that puts a stop to any surface thermal effect from back radiation from GHGs. Every photon sent downwards by one GHG molecule is absorbed by the next GHG molecule beneath it and there is a reduced probability of re-emission. The result is that as one moves downward any back radiation is steadily reabsorbed molecule by molecule and integrated into additional convective overturning which converts that back radiation to potential energy within enhanced convective uplift. 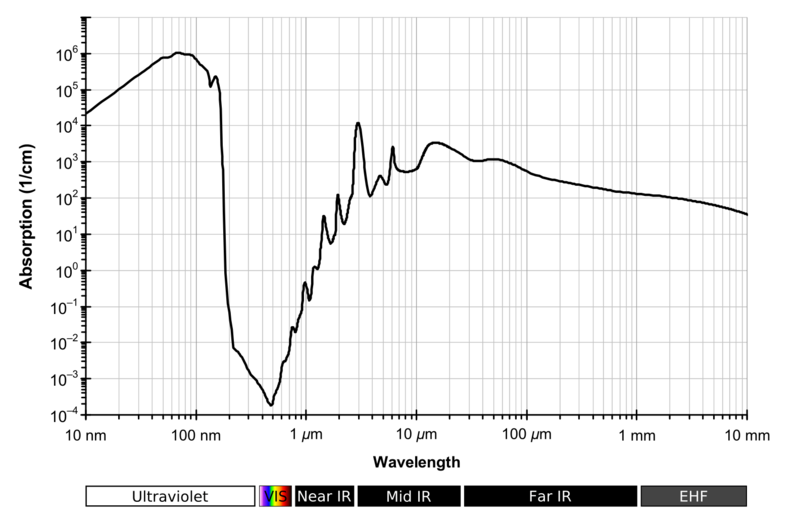 In due course that potential energy returns to the surface as kinetic energy beneath the nearest descending convective column and is promptly radiated to space from the surface via the full range of wavelengths thereby by passing the blocked wavelength for the GHG that caused it in the first place. 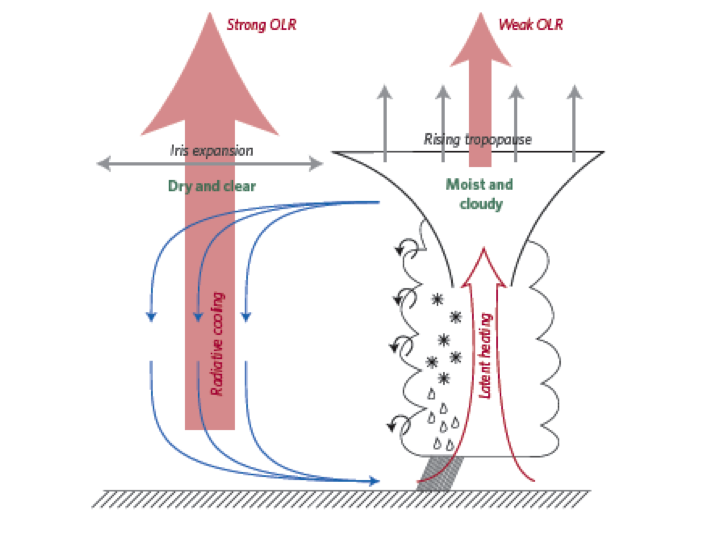 The surface temperature never changes because the enhanced convective uplift cools the surface beneath it exactly as much as the extra potential energy in the descending column warms it. But it is too little to measure in any event because the entire process is mass based and GHGs have very little mass as a proportion of the entire atmosphere. One sees far greater changes from solar and oceanic variability. This was a very interesting post, thank you. As yet we don’t have enough evidence to prove the Iris hypothesis but then again we don’t have enough evidence to disprove it either. I gave this response on the other iris thread. Tonyb, we are experimenting with this guest/ host dual format. Whichever post you comment on, we will endeavor to respond to as we are able. I guess I think of it as SW in, LW out. I can’t tell if you are saying they are high or low albedo clouds or both? Lake ice is low albedo. With no snow cover it has a nifty greenhouse effect. Ragnaar, it is not an albedo issue. Cirrus have almost none. It is because fine ice particles are nearly transparent to visible light, and nearly opaque to infrared. Cirrus is equivalent to a semiconducting diode. One way only. So they always warm. I see. So we have ice over the equatorial regions at altitude. This is the correct place to be looking with the massive amounts of incoming SW.
Cirrus is equivalent to cirrus. No equivalency to a semiconducting diode at all. Maybe you are thinking more of optical IR cutoff filters, which transmit visible light, but either absorb or reflect IR. They don’t warm anything except themselves, either. Certainly no additional warming of a target if interposed between a radiation source and the target. Sorry, but it’s true. No GHE at all. MF, beg to differ. A semiconducting P/N junction is a diode. A one way gate allowing current to pass but not reverse flow. How solar cells work ( a possible coming joint post with PE on solar grid parity). Cirrus is similar. Solar insolation is nearly transparent. Infrared OLR nearly opaque. Cause cirrus is fine ice crystals. The optical atmospheric equivalent of a diode. You doubt this well established fact, please bring counter references for us to examine. ristvan: It is because fine ice particles are nearly transparent to visible light, and nearly opaque to infrared. So the warming effect is at high altitude? In an electrical DC circuit, a semiconductor diode absorbs power. Ohm’s law will tell you how much. Try 1 Amp current flowing through the PN junction, 0.6 V drop across the PN junction – typical for Si. This absorbed power is dissipated as heat. Climatological diodes may have no threshold voltages or losses. Real ones do. Real ones also have resistance and reverse leakage current. Placing a diode in a simple series circuit reduces the amount of energy available to the sink from the source. If you can produce a circuit where placing a diode between a source and sink increases the power available to the sink, as opposed to direct connection with zero resistance connectors, you will have convinced me. You may notice that the diodes in your car’s alternator circuit are massively heat sunk, as they can be called upon to deal with fairly large currents. Sorry rud, I may know a little more about solid state devices than yourself, I don’t know. If you want references, I suggest any introductory electronics engineering text. Cirrus is cloud, composed of ice crystals. Might I suggest you acquaint yourself with Fresnel’s Equations, Mie scattering, and so on. It doesn’t matter what you place between the Sun and the Earth, whether it’s close to the surface, or far away. The surface will be warmer exposed to the direct, unobstructed rays of the Sun. Creating shade of any sort will not increase the temperature. Cirrus have almost none. It is because fine ice particles are nearly transparent to visible light, and nearly opaque to infrared. Cirrus is equivalent to a semiconducting diode. One way only. So they always warm. I’ve spent the last year and a half or so, pointing an IR Thermometer straight up, all kinds of weather. I figure this temp is what the surface “sees” (It doesn’t measure above 14u, so you’d have to add back any DWLWIR from Co2), but high Cirrus clouds are the coldest of the clouds, temps can be 20-30F warmer than clear skies (-0 to -80F), but high humidity has a far bigger impact to Tsky, than Cirrus clouds do. On dry days, I routinely see temps 90F to over 100F colder than surface temps (ie my concrete sidewalk). You can watch night time cooling play out with a thermometer, and what you see is that as surface temps start getting close to the dew point, cooling slows way down. I think this is a great image. The net radiative forcing of clouds is the sum of SW and LW flux changes and may be positive or negative. Thin cirrus clouds cause a small but positive radiative forcing at the TOA; thick cirrus clouds may cause cooling (Stephens and Webster, 1981; Fu and Liou, 1993). In the global mean, an increase in cirrus cloud cover warms the Earth’s surface (Hansen et al., 1997). Maximum heating is reached at intermediate ice water path, corresponding to an optical depth of about 2 to 3, and the effect shifts to small cooling for optical depths greater than about 10 to 20 (Platt, 1981; Jensen et al., 1994a). Net forcing also varies with particle size but less than its two spectral components. For thin cirrus, smaller particles (but > 3-mm radius) tend to cause stronger heating by increasing cloud albedo less strongly than emissivity (Fu and Liou, 1993). Thank you for this post. Seems the high Cirrus are ice clouds. Assume a decrease in ice clouds with warmer SSTs leading to a decrease in insulation. Again the ice is doing the right thing. Like sea ice alternating between retaining heat and venting it. Ice is not just the lack of temperature. It’s an adapting player. The article says but I do not think it is a matter of just the concentrations of cirrus clouds but rather upper troposphere water vapor in totality. The less upper atmospheric water vapor in totality the greater the amounts of OLR emissions from earth that can escape to space negating CO2’S effect which is suppose to suppress OLR being emitted from earth to space. My opinion, you are right. Lindzen focused on cirrus formation, because there is no dispute about their feedback. The much larger (IMO) issue is upper troposphere specific humidity. AR4 and AR5 dogma is that it is relatively constant. Corrected for dry bias Radiosonde (paltridge, 2009) and newer GPS radio occultation say it declines, although specific humidity rises–so water vapor feedback is overstated, by perhaps half. See previous guest post here on Monckton’s simple equation. See essay Humidity is still Wet in ebook Blowing Smoke. Indisputably is a bit strong. Surface temperatures are higher in the absence of cloud, water vapour, or indeed any absorptive matter between the Sun and the surface. I don’t believe surface temperatures have ever risen due to the presence of cloud of any type. I am sure that if this has ever occurred, someone will be sure to point it out. The hottest places on Earth are characterised by clear skies, and not a lot of water vapour. Cirrus is cloud. No magic, just cloud. Depending on latitude, can occur as low as 3000 m, or as high as at least 25000 m (Wikipedia notwithstanding). Ice crystals have varying opacity and reflectivity to light of various wavelengths, depending on shape, size, and facial orientation. If an ice particle absorbs energy of any wavelength, normal physical principles apply. The particle’s temperature may rise, obviously. Just as obviously, but often overlooked, either the particles warms up enough that the ice turns into water vapour, and the particle cease to exist, or the the particle cools down, by radiating photons in all directions. It also obviously emits less radiation back to Earth than it received from the surface, as at least 50% is not directed back towards the surface. This is partially why when clouds pass over, the temperature does not rise. This also why fog (cloud) vanishes as the Sun warms it. More than 50% of the Sun’s radiation is longer than visible wavelengths. 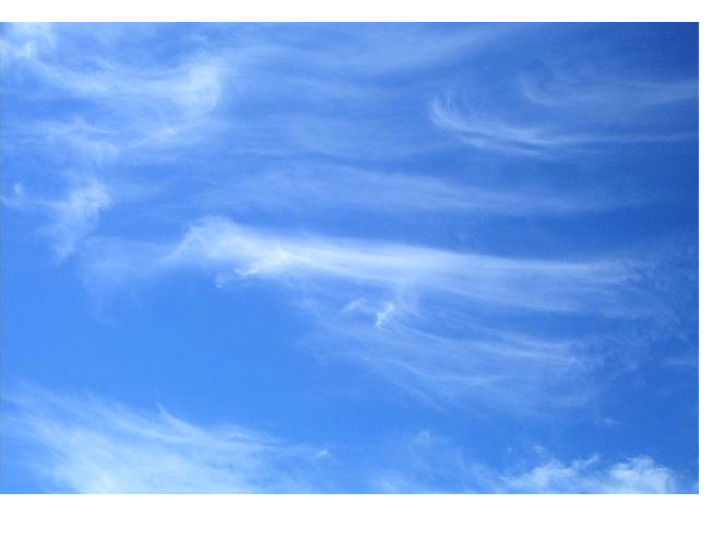 The visible light is mostly reflected by cirrus – this is why cirruslooks white. Absorption and reflection figures for ice crystals of various sizes have been established experimentally, and also figures for oblique total reflection, which of course is widely variable. Anybody who has flown in an aeroplane above dense stratiform cloud at say 10000 m, -35C, will become painfully aware of the reflective properties of ice crystals if the Sun is impinging the cloud at a relatively shallow angle towards them. The glare can be blinding, and the reflected heat is easily detected on the face, or the hand. So the GHE of clouds, or indeed anything else, just doesn’t stack up against reality. I will quickly change my mind if anybody can actually demonstrate the effect, although I don’t believe its going to occur any time soon. Mike, you might try googling around ( or use your alternative favorite search engine) on cirrus. Not Wikipedia! You will quickly find the relevant indisputable climate science/physics on cirrus high thin ice clouds. You may wish to deny that science out of principle; that would be a further example of what is wrong with total deniers of any GHG. Taking that stance just gives ‘the other side’ more ammo. The world is grey scale, not black and white. Nope. All I find are unverifiable assertions. One way energy transmitters, opaque substances which absorb but never retransmit, perfect insulators, heat trapping, storing, or accumulation, matter that multiplies energy, are all assertions. None of these have any experimental support at all. Try it yourself. Use Google, or whatever you like. If you find experimental verification of the GHE, I’m sure you would cause a lot of joy. Heating of CO2, or other substances with IR, showing that gases absorb IR, is nothing to do with the GHE. You have merely to demonstrate a rise in temperature of a surface by putting some GHG between the surface and the heat source. Proof by assertion is no proof at all. Merely saying that the GHE is indisputable is not proof. If the GHE exists, it is demonstrable, and reproducible. So far, attempts to demonstrate the GHE demonstrate the opposite. Do you not agree? There is no educating Mike. I prefer to learn from those of others. Thanks for the education. What I seem to know is sunlight reflected off of lake water is almost as bright to my eyes as the sun itself. At the same time lake water has low albedo. I believe different frequencies of light bend differently as seen with prisms. NASA appears to think that cirrus ice crystals bend the SW to some some extent. Most of the models would just consider up/down plus some swag parameterization for diffusion. CERES models use some anisotropic modeling for SW in an effort to close the TOA budget, but that is all I have seen. What is kind of interesting is if Earth was all oceans and zero clouds the average albedo would be close to 0.3 just because of the critical angle of water and being a sphere. So no matter how things change, albedo will be close to constant as noted in the Stephens et al. paper of hemispheric albedo adjustment. The biggest thing with clouds and atmospheric water vapor should be path length and the ratio of atmospheric to surface absorption. When you have more surface absorption and ocean you have more heat uptake which should cause more to consider the impact of precessional cycle on ocean heat uptake versus atmospheric retention. The Iris Hypothesis is an interesting tidbit but there is a lot more going on I reckon. 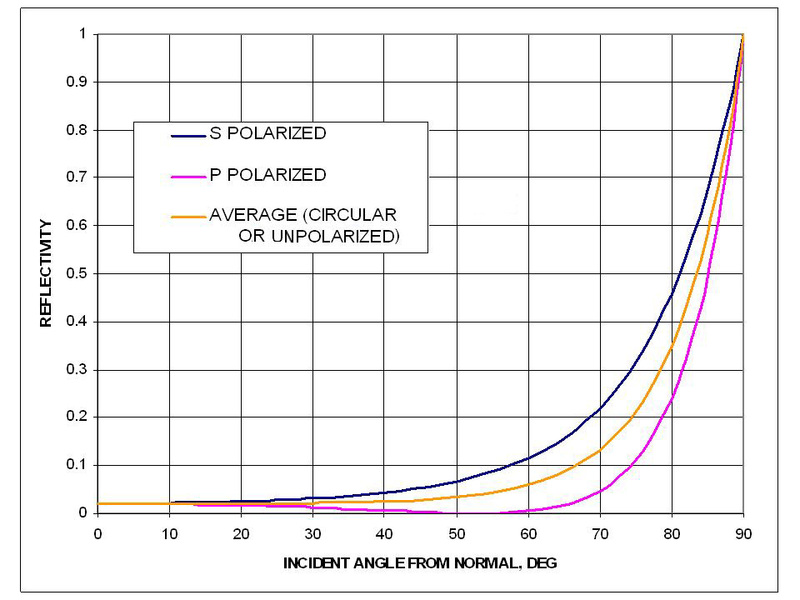 In theory a lot of visible light or light at high angles isn’t absorbed. Looking at PA’s chart, an hour before sunset almost as much light seems to reflect off the lake surface as comes from the sun. Eyeballing the sun’s glare or reflection, but not measuring it. Now, non movable solar panels might be orientated to the West facing a lake. The effect with a frozen lake would seemingly be more. What’s missing? The rest of the global circulation. Yes, The ITCZ does detrain, and yes, water vapor enables the cooling rate which enables subsidence, but the tropical circulation is indicated as closed. 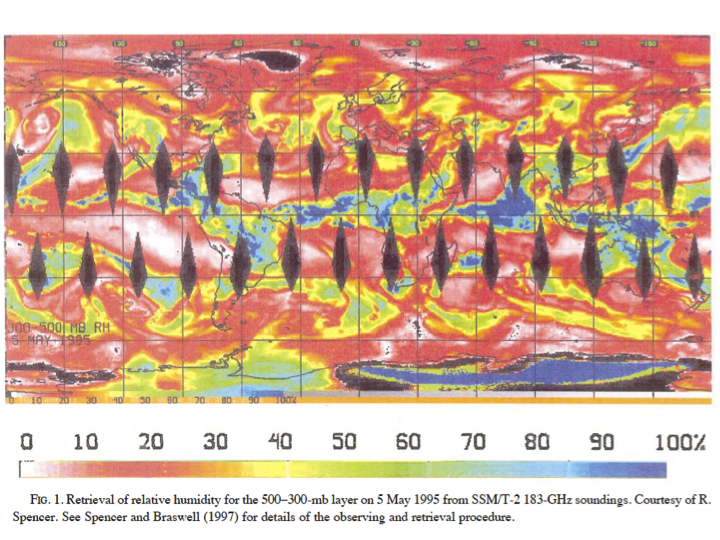 The reality is, synoptic waves do penetrate – all the way to the ITCZ, at the surface anyway. Part of the balance between the subsidence zones and the ITCZ is the origin of the subsidence zones which appears to be extratropical. Marcel LeRoux had some interesting ideas about this wrt to the glacial circulation. When the Poles were more glaciated, the pole-to-equator gradients were greater and the AREA of monsoonal influence, he postulated, was compressed. When the gradients relaxed, so too did the size of the area of monsoonal circulation. Yep, I think the diagram is abbreviated in order to focus in on the posited effect, so as not to distract from the main point if you will. Stare at the waves, particularly the dark parts ( the irises ) that are the subsident masses in the subtropics. They’re associated with the midlatitude waves. Thanks for that, TE. There are a lot of historical images there. Some imaging software might be able to pick out the cirrus and test the hypothesis. (I’m sure that’s been done?) I’m also pretty sure the devil would be in the details. Rud, I think the word “no” is missing from #1 in your list. Yup. Is a CE transcription issue. Good catch. Agree but Judith alone has the ability to edit anything that is posted on her site. She probably will. We have been working on this joint post experiment for over four months. The fault could have been mine, or a transcription error given that my favored pictorials are not easy for her and wordpress. Anyway, the joint message is quite clear. We stand by it. So El Niña cool the planet and La Niña warm – but the effect is variable for reasons that are in all probability random. Good luck modelling that. The problem of the climate battle in my view is that none of these arguments are technically decisive – the data, the methods and the theories are unable to provide definitive answers. The CO2 plant growth link for instance – http://www.csiro.au/en/News/News-releases/2013/Deserts-greening-from-rising-CO2 – although undoubtedly true there may be other interpretation. The story seems to be in reducing water transpiration rather than CO2 fertilisation. CO2 is good is however an entrenched position. Professional and amateur skeptics alike don’t have the technical skills to move beyond entrenched positions to take a wider perspective – instead they are busy fighting on ground chosen by the opposition. Some of them are stumbling around no-man’s land muttering something about CO2 cooling the planet. It’s a losing proposition – while the opposition consolidates territory by regulation and treaty. To change the dynamic needs a new narrative that captures the middle ground – there will be casualties. I urge you to continue that discourse. As I said – there there is a dynamic around this manifesto that can be influenced in its evolution. I read somewhere recently that left and right speaks to divisions that are no longer relevant – to be supplanted by uppers and downers. Buying into this discourse is the future for uppers. So if I may – and as I read recently on my facebook timeline – I’m wearing the cape and I’ll make the whooshing noises. You may remember that a couple of months ago I posted an article here on the observation that the LIA was somewhat intermittent. In the course of the research I was able to observe that the effects of volcanoes-if any- was rather short lasting and that cooling had often begun prior to the volcanoes claimed effect. My question to you or Judith is whether the ‘iris’ effect, which at present I am ambivalent about, could be detected in historic records? Is there any dramatic or noticeable impact it would have on weather or climate, or could it be discerned in any other manner? As you know, there have been various studies on cloud formations through the centuries. What should I bee looking for in trying to ascertain the reality or otherwise of the Iris effect or is its impact likely to be more subtle and diffused and less discernible than the one off large scale impacts claimed for volcanic or sun spot events? The Iris effect seems to me to be a feedback hypothesis which would be quite difficult to trace or put down to any particular forcing, given that there are probably numerous other forcings at play at the about the same timeframes. There would also most probably be lags at work as well. Tony, I suspect it would be difficult to discern, because it acts rather rapidly and is a damper (negative feedback). It would act to lessen the changes you have observed. Yes, I suspected as much. Then the dramatic increase in jet traffic (contrails) starting in the 1960s would also have somewhat counteracted the Iris Effect. Considering that the vast majority of jet traffic is in the northern hemisphere, is a “human fingerprint” of that discernable? I ran across some references while searching for published work by S Fred Singer. I don’t have time to dig the links back up, but if you feel like it, a search might be productive. A NASA link to Jet Contrails. micro6500, Thanks! Cool pictures. It seems not to be an insignificant factor. Maybe total air traffic been more or less steady since the ’90s huh? iirc Model runs said it was as much as 60% of warming, though there were some claims that 9/11’s lack of flights showed it’s effect was pretty minimal. These facts alone seems to be somewhat significant, but since it’s counter consensus it quickly died. What you can say is this. Assuming that they modelled the effect correctly, assuming that other models would show similar results, including an iris like effect reduces the model/observation discrepencies and so we can say that models that include iris like effects are more plausible than those that don’t. As you are supposed to be an expert on the existing models – can you speak more distinctly on whether this affects the base assumptions underlying said models? In particular, my understanding has always been that the present SOTA models use generic/global feedback terms for the impact of clouds, and that the feedback terms are positive. If in fact the feedback is negative or varying between positive and negative depending on temperature mode – what effect does this have on said base assumptions being valid/invalid? I do understand that said iris effect may not be of sufficient credibility or proof to be integrated into said models; what I’m asking is what potential impact a valid iris hypothesis would have on the entire present GCM modeling scheme. 1. false assumption. I have read the code of one model. I work with the outputs. This does not make me an expert. However, the ontological claim Rud makes is not supported. You dont need to be an expert in models to understand that, you just need to understand how one makes arguments for the existence of things. Results improve if you posit such an effect. That doesnt you evidence that it exists. It gives you a better model. 2. You speak of models in the plural. This test was done with one model. draw no conclusions from that. 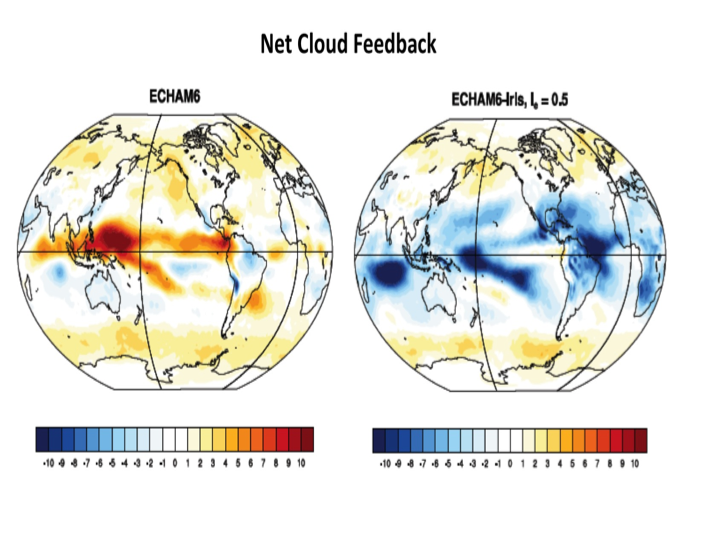 “In particular, my understanding has always been that the present SOTA models use generic/global feedback terms for the impact of clouds, and that the feedback terms are positive. 1, there are no feedback terms. 2. Feedbacks are an emergent property of getting the physics right. 1. No such thing as a valid hypothesis. 2. If the effect has a sound physical basis or arises from improved physics, then of course folks would be inclined to include it. Fair enough – you have read one model but are not a model expert. 1) Do the models share a similar computational backbone? I.e. while they are not the same, they share the same engine. 2) You said that feedbacks are not explicitly set in the models, but are an emergent phenomena. I assume what you mean is that there isn’t a “cloud_feedback” variable, but that the effect of clouds on the model comes from the setting of various values. So, is the emergent value of cloud feedback in the one model you examined? 3) You say there is no such thing as a valid hypothesis, yet you call the iris theory invalid. Can you explain what the difference is? Seems to me that the tweaks which would improve model fidelity ( including Iris here ) are infinite ( and the tweaks which would degrade model fidelity also infinite ). The iris over the Tropical Eastern Pacific will have been closing since ’79, because temperatures have cooled since then. The Iris effect may be real but the models evidently have worse problems than lacking the Iris effect. I could use the temperature and CO2 record from 1950 (covering 75% of emissions) and say it is even more “highly suggestive” of a 2 C per doubling effective sensitivity. Why is it that “skeptics” jump on some highly suggestive things but not others? If I was to balance these two highly suggestive things, I think the CO2 and temperature record are much more direct and suggestive. Why is it that “skeptics” jump on some highly suggestive things but not others? Because of the many claims that the “science is settled”. Never mind those claims (mostly) haven’t been made by scientists, and most scientists, if you pin them down, would admit it isn’t. The claims have been widely made, and not repudiated by the majority of the scientific “consensus”. This means that things that are “suggestive” of the consensus position are irrelevant, because they don’t demonstrate that it’s true “beyond a reasonable doubt”, but things that are “suggestive” of alternatives are highly relevant, because they go to raise those reasonable doubts. As long as so many supporters of the (C)AGW political position keep demanding sweeping global socio-economic changes in the name of “climate change”—changes that require “settled science”, proven “beyond a reasonable doubt” before most of the world’s polities will buy into them, skeptics (note the lack of “scare quotes”) will continue responding differently to “highly suggestive things” that might support the (C)AGW agenda, and “highly suggestive things” that might go against it. The abstract of the paywalled paper says: “This so-called iris effect could constitute a negative feedback that is not included in climate models. We find that inclusion of such an effect in a climate model moves the simulated responses of both temperature and the hydrological cycle to rising atmospheric greenhouse gas concentrations closer to observations. Alternative suggestions for shortcomings of models — such as aerosol cooling, volcanic eruptions or insufficient ocean heat uptake — may explain a slow observed transient warming relative to models, but not the observed enhancement of the hydrological cycle. (1) If they have merely tuned parameters to produce a better fit to how climate has CHANGE over the last few decades, this is a form of “curve fitting”. The same approach to fitting the 1960s hiatus is the reason every climate model is now probably produces too much cooling from aerosols. Our ability to reliably detect small changes in tropical rainfall and lapse rates over decades is limited and there is always the possibility that the observed changes include unforced variability. Fitting marginally significant change is dangerous. (2) On the other hand, the authors may have tuned parameters to produce a better fit to certain aspects of current climate. And the result of the improved tuning could be better agreement with observed change in climate. When your results explain something that couldn’t be anticipated at the start of your work, it confirms that you are on the right track. 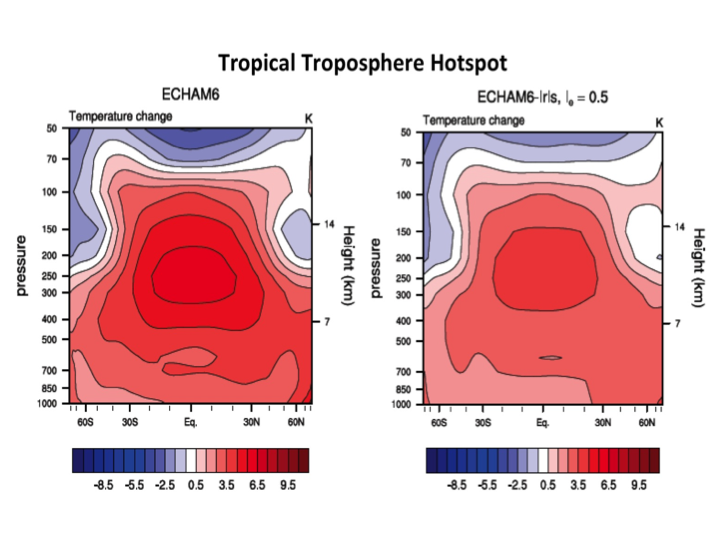 From reading the abstract, it looks like to authors set out to tune a climate model so that it produces more tropical rainfall and less of a hot spot in the upper tropical troposphere. The fact that they succeed – as Mosher points out – demonstrates nothing scientific. Even worse, it sounds like the authors don’t appreciate the difference between curve fitting (1) and science (2). If there isn’t negative adaptive iris feedback in the real world, it doesn’t make a #*%^&! 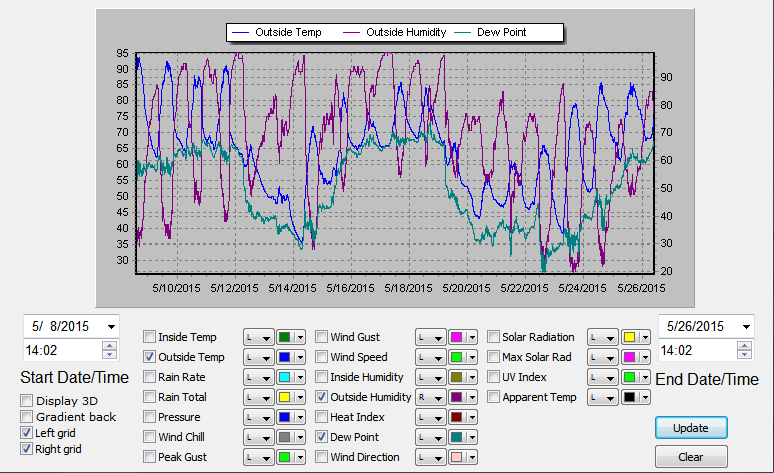 bit of difference if modelers can introduce such a phenomena into an AOGCM. Yes, to add to what JCH quoted. It was a single parameter that is quite uncertain to order of magnitude, and is actually not a constant in nature, which they made a strong function of temperature. They called the idea primitive and it is, but it gets the effect they want, which is less convective cloudiness with warmer temperatures that mimics the iris effect. Tweaking and “tuning” are pretty similar. I believe Dessler “tweaked” some radiosondes data to determine that clouds are without a doubt positive feedbacks and that there is a topical troposhere hot spot. Some modelers tweaked aerosols and some tweaked SST and there are a few tweaking clouds. Lots of tweaking opportunities in climate science. When done properly, tweaking bears a great resemblance to twerking, and is of approximately the same benefit to humanity. JCH: Thank you for the reply. Is there a fixed change in convective parameterization or an adjustment that was increased over several decades? Does the change in parameterization improve certain aspects of reproducing today’s climate and degrade other aspects? Usually, when you tune a parameter, you monitor its effect on some aspect of current climate (say rainfall patterns) and stop at the best fit. It is interesting – I had heard of Professor Lindzen’s theory before but had not understood what it really was until now. Also interesting because it also posits a similar feedback mechanism as Willis Eschenbach has mooted – only Professor Lindzen points towards cirrus clouds while Willis Eschenbach points towards thunderstorms. Dead thread comment. You are correct. But they both have the same underlying mechanism, tropical convection cells. And the reconcilliation is that both cirrus and UTsH will be reduced. Lowering sensitivity, removing the upper troposphere modeled hotspot. They are both probably right. Doubles the power of the basic phenomenological insight. Thanks, Rud. I read Lindzen’s paper in 2012 but didn’t understand the implications of the change in cirrus clouds. Thanks for making that clear. Just for one wild, wacky moment, pretend that global surface temperatures are not rising. To add further to the bizarre speculation, assume CO2 levels have risen. Cap off this nonsensical scenario by assuming the GHE doesn’t exist, and that the “iris effect” is unnecessary. Silly me. I must be a crank. Oh well. Pingback: Weekly Climate and Energy News Roundup #181 | Watts Up With That? I have a lot of respect for Lindzen , I think Lindzen & Choi 2011 is one the few credible attempts I have seen to estimate climate sensitivity from radiation budget and surface temperature data. However, I’m not too convinced by his adaptive iris hypothesis. The name if unfortunate since it conjures up an image like the ozone hole expanding and contracting, which is not helpful. /blockquote>All four factors suggest one reason CMIP5 models are running hot is that they lack a negative adaptive iris feedback. In relation to the four points outlined in the article I see those all pointing to a conclusion that the heat never gets into the lower climate system at all. That maybe “consistent” with the cirrus cloud iris idea but does not necessarily ‘suggest’ that is it the iris feedback which is missing. In particular point #2 ( which is rather confusingly expressed ) may be just as much to do with false assumptions about water vapour feedbacks and an assumed constancy of relative humidity. 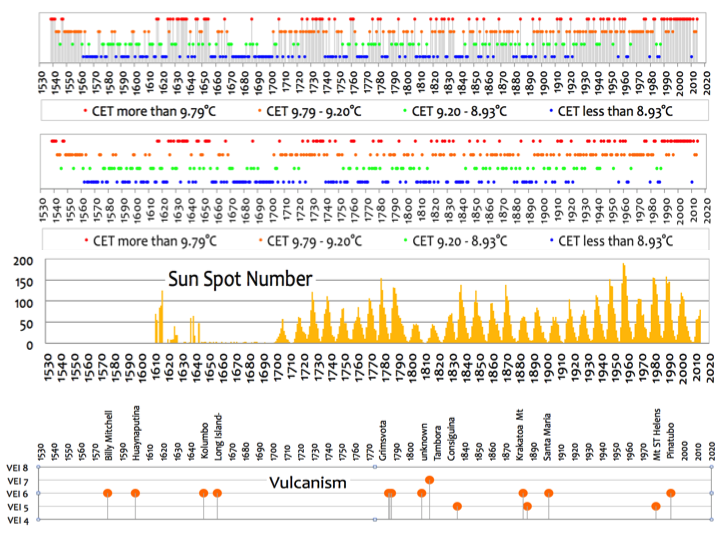 Missing heat, no hot-spot, rainfall : all point to GHG / temperature as a false attribution problem. Lindzen’s hypothesis is useful in focussing attention on the tropics and our near total ignorance of the basic processes involved in evaporation, cloud formation and precipitation, without an understanding of which climate models are worthless in predicting future climate variations.